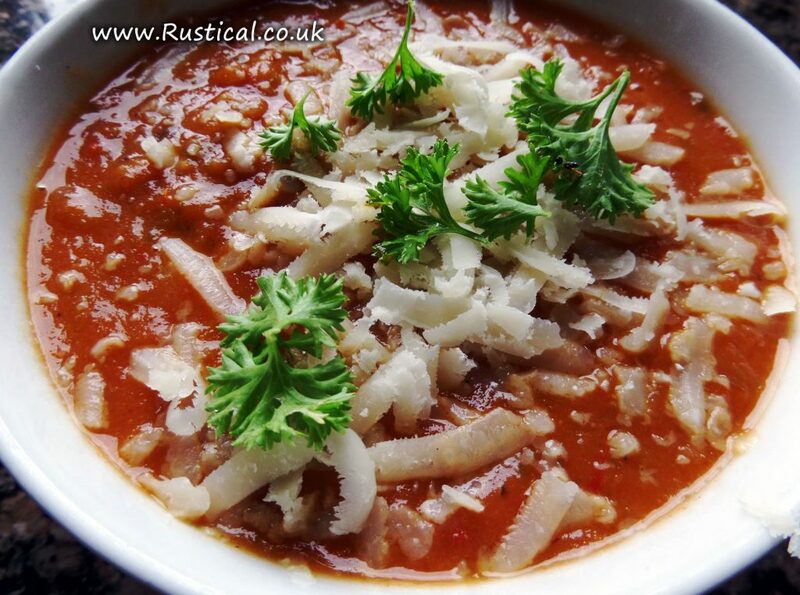 As we hit ‘peak tomato’ in the polytunnel we try and prepare as many portions of our favourite soup; freezing portions of our delicious roast tomato and pepper soup for a hearty warming meal later in the autumn. 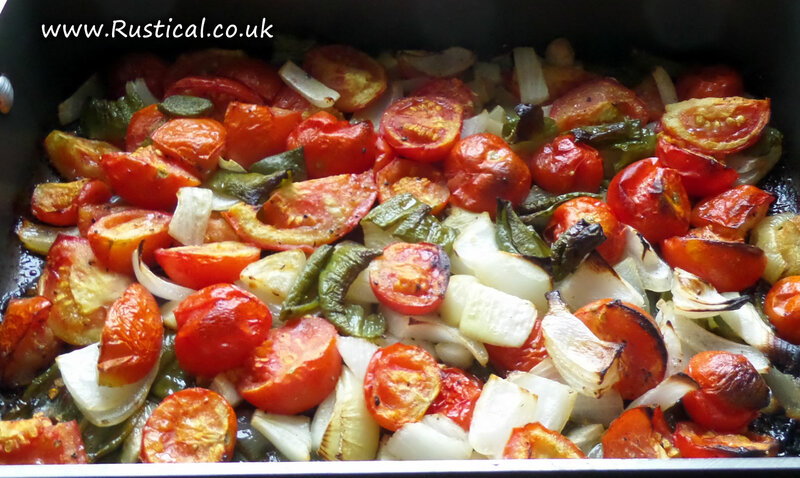 In fact every time the oven goes on, a tray of roughly chopped tomatoes, peppers, garlic and onions will be in the bottom. Cut up larger tomatoes to the size of a whole cherry tomato. 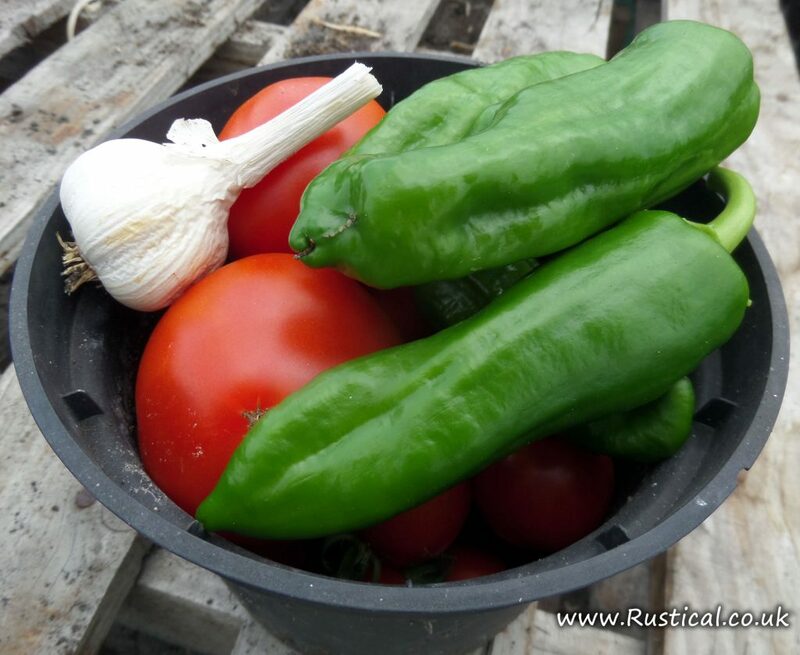 Deseed the peppers and then cut up the peppers and onion to a similar size as the tomatoes. 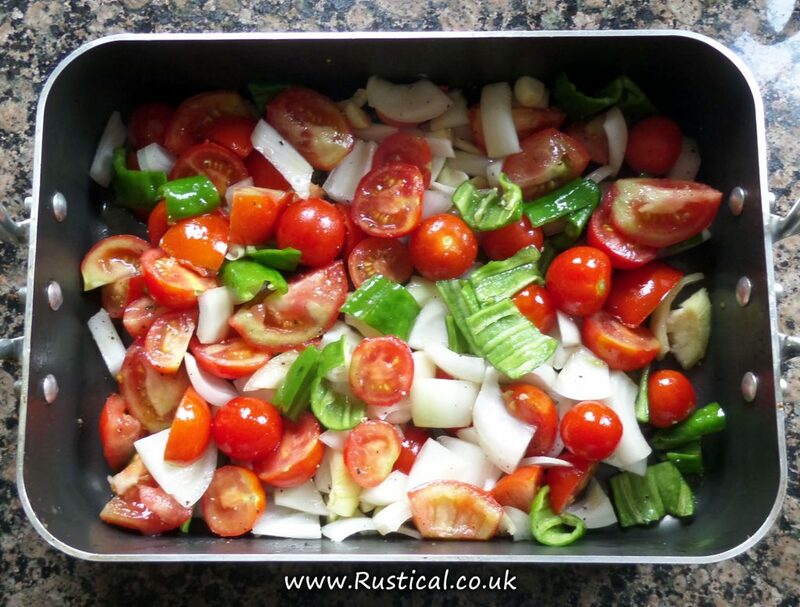 Place the tomatoes, peppers, onion and garlic into a roasting dish or baking tray and season with salt and pepper. Pour on the olive oil then vigorously mix all the ingredients by hand to ensure that the oil has coated everything. Bake for about 30-45 minutes until the tomatoes and peppers are just beginning to char. Bring the vegetable stock to the boil and add the Worcestershire and tabasco sauce. Add the roasted vegetables and puree using a hand blender to the texture you prefer. Allow to cool then freeze in portions. Ideal for a warm welcome on a winters evening. The quantities will make three big bowls of hearty, homemade soup. Three big bowls will serve 1 – 2 Lancashire farmers or at least 6 southern jessies.